King Salman expressed support for favored son Crown Prince Mohammed bin Salman, who is believed to have ordered Jamal Khashoggi's killing at the Saudi consulate in Istanbul, Turkey. RIYADH, Saudi Arabia — Saudi Arabia’s King Salman on Monday gave his first major speech since the killing of journalist Jamal Khashoggi by Saudi agents, expressing support for his son, the crown prince, and making no mention of allegations that the young royal ordered the killing. 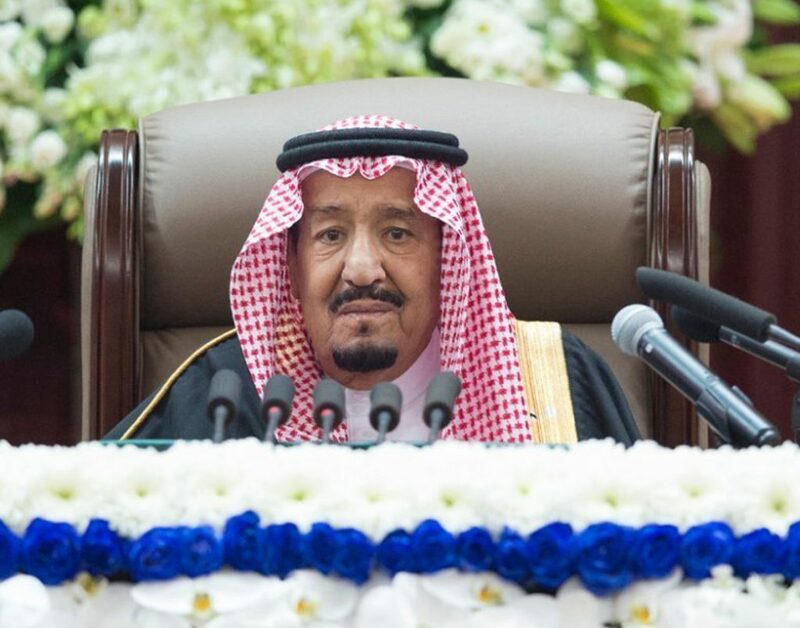 The annual policy speech by the king instead highlighted Saudi Arabia’s priorities for the coming year, focusing on issues such as the war in Yemen, security for Palestinians and stability in the oil market. The king voiced support for his favored son, Crown Prince Mohammed bin Salman, saying that the 32-year-old heir to the throne is focused on developing the capabilities of Saudi youth. The prince oversees all major levers of power in the kingdom. Saudi media reported Monday that the crown prince will attend the Group of 20 summit in Buenos Aires later this month. It would be the first trip abroad for the crown prince after the Oct. 2 slaying of Khashoggi, and would bring him face to face with world leaders from the U.S., Turkey and other countries that have criticized the kingdom for the brutal killing. King Salman delivered his remarks before the country’s ministers, senior officials, military officers and clerics. In the wake of Khashoggi’s killing inside the Saudi consulate in Istanbul, the 82-year-old monarch put Prince Mohammed in charge of overseeing the reorganization of intelligence services. U.S. intelligence officials, however, have concluded that the crown prince ordered the killing. Others familiar with the case caution that while it’s likely that the crown prince was involved in the death, there continue to be questions about what role he played. Saudi prosecutors say the 15-man team sent to Istanbul exceeded their authority when the lead negotiator in the team decided to kill Khashoggi for refusing orders to return. President Trump has said his administration will get “a very full report,” including who was responsible for Khashoggi’s death, on Monday or Tuesday. Trump has criticized the Saudi response to the killing, but has been reluctant to say definitively if he thinks the crown prince ordered it.